Welcome to the Totally4wdCampers website! Please click here for a WORLD WIDE Europcar quote or to make an Europcar 4wd booking ! Since 1997 Totally 4WD campers specialise in the rental of 4WD campers and cars. Vehicles you can take on an adventurous and spectacular tour. Whether you want to rent a 4WD camper in Australia, New Zealand, Canada, South Africa or Namibia, Totally 4WD Campers helps you with personal service to book a suitable vehicle. At Totally 4WD Campers, you as the customer are at the centre of our focus. A personal travel consultant is assigned to you, guiding you from start to finish. A fixed point of contact to assist with any information you may require, booking any or all of your travel requirements, and beyond. We pride ourselves in being able to always go that extra mile for our customers! In doing so you don’t have to miss out on anything during your trip. 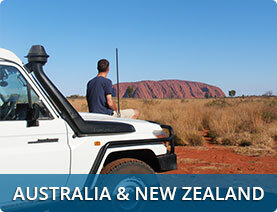 Totally 4WD Campers has a wide range of 4WD rental campers. We are a licensed agent for many small to large quality rental companies. This way you immediately have a good overview of the complete range of 4WD campers that are available for your dates, plus you get assistance selecting the most suitable vehicle for your trip. We are in direct, daily contact with all our suppliers, have a strong negotiating position and a high booking volume. This allows us to offer you the best rates and ensures better service, at a lower price than when you book with a rental company direct. Why rent a 4×4 camper with Totally 4WD Campers? 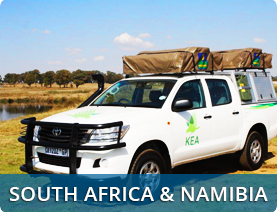 At Totally4wdCampers you get a good overview of the total range of 4WD Campers or 4×4 off-road vehicles (most of which are equipped for camping in Australia, Canada, New Zealand and South Africa as well as Namibia and even Botswana). We bring together the offer of various rental companies, and together with you determine which vehicle would make your ideal companion for an adventurous on or off-road journey. But Totally 4WD Campers is more than just an overview of the range of 4×4 rental campers. Our enthusiastic team of knowledgeable consultants (in the Southern Hemisphere as well in Europe) is ready to help you out; personal service is of paramount importance. We are happy to advise you on the different rental options, but we also provide you with tips for the actual journey. And that extra service even ensures that you pay less than if you book with the rental company yourself. Curious about the different 4×4 campers on offer? Select your desired destination below and get an overview of available vehicles or use the quick search menu on the right side of the page to personalize your search directly. Do you have other wishes? Fill in our quotation form and receive a tailor-made quote with the best prices. From 1997 onwards a part of the Totally 4WD Campers team has been working from Australia since that is where most of the action is! From here we have contact with our suppliers and we test drive many 4×4 campers. All the contact with your own allocated travel advisor is personal from the word go. No standardised e-mails, quotations or whatsoever. Of course this will all be in your own language to ensure nothing gets lost in translation. You can rest assured that everything is arranged according to your wishes. 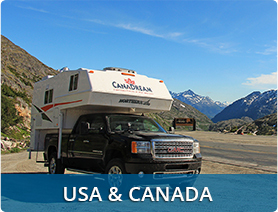 Renting vehicles through us (whether it be 4WD campers, 4WD cars, motorhomes or motorcycles) not only provides you with extra useful travel information but also the lowest rental price. So you get more service while paying less than anywhere else! That is Totally 4WD campers. The team is on standby and ready to find the perfect 4×4 vehicle for you. We look forward to working together with you and your fellow travellers! Our work is not done until you have returned satisfied from your trip. In the end it all revolves around the most important thing: your 4WD adventure! This is what other travellers think of our warm welcome: read our references.